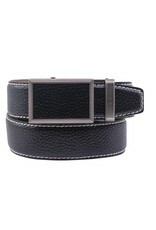 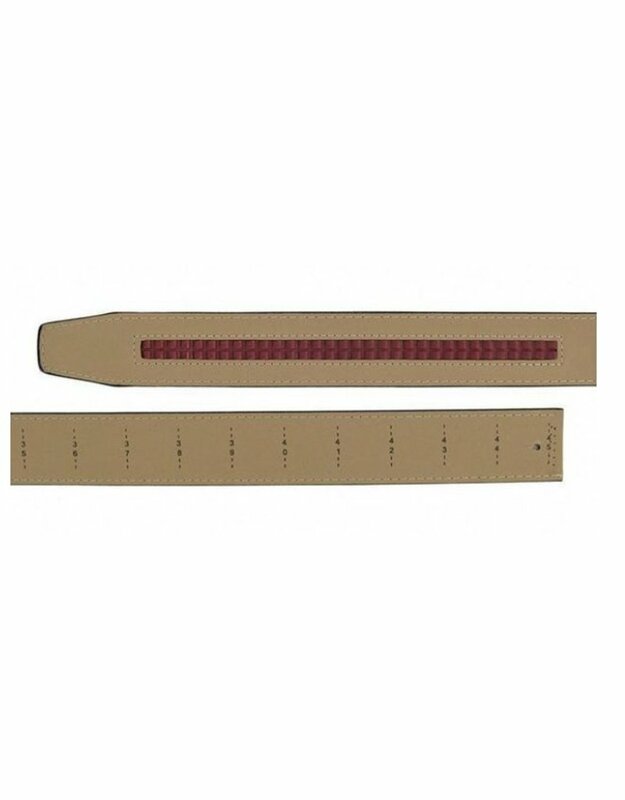 Nexbelt Go-In Pebble Grain Belt 4 Colors Available! 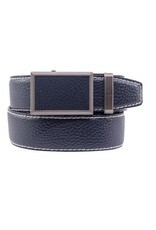 Home / Nexbelt Go-In Pebble Grain Belt 4 Colors Available! 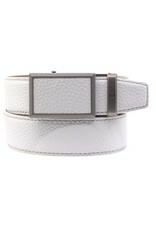 We've redesigned the Go-In buckle. We added beveled edges to the face of the buckle for a more modern look. The pewter finish gives the buckle a sedate look which allows the beautifully crafted leather pebble grain straps with contrast stitching to really stand out. 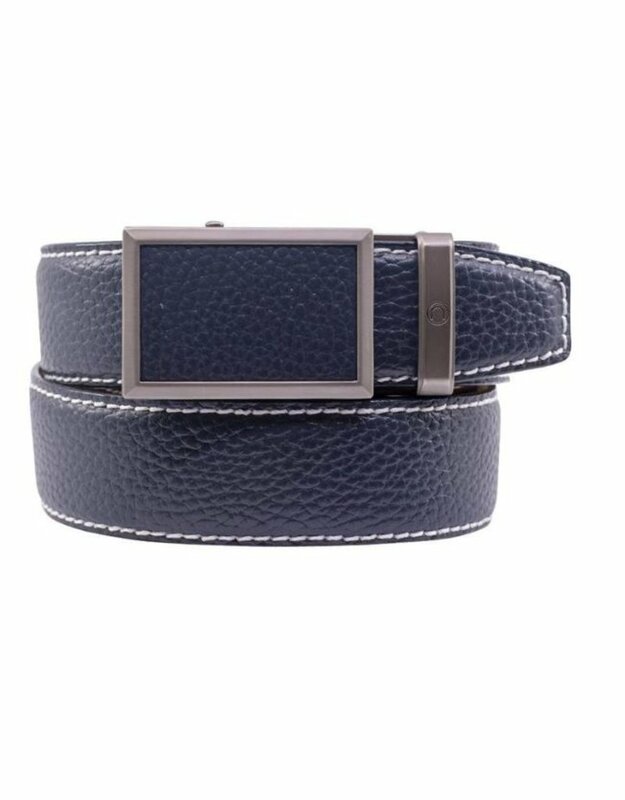 The face of the buckle still flips down to reveal a 2 sided ball marker. 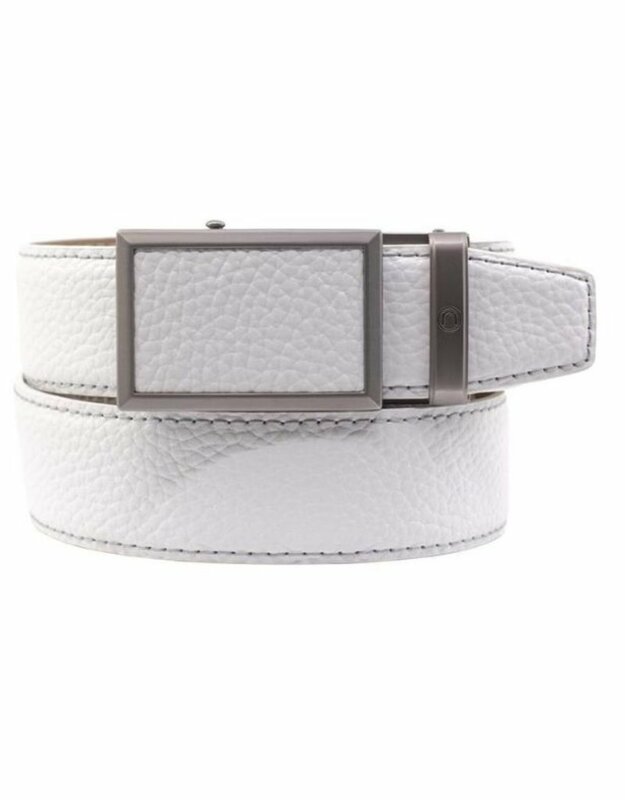 Buckle size 1 5/8" x 2 5/16"
Belt strap width is 1 3/8"